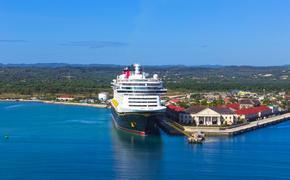 Holland America Line has raised more than $4.3 million for cancer support through its “On Deck for a Cause” events held on every sailing of its 15 ships. The program, which began in 2006, benefits six cancer international organizations — the American Cancer Society, Canadian Cancer Society, Cancer Council Australia, Cancer Research UK, Deutsche Krebshilfe in Germany and KWF Kankerbestrijding in the Netherlands. In 2015, more than 500 “On Deck for a Cause” events will be held globally. 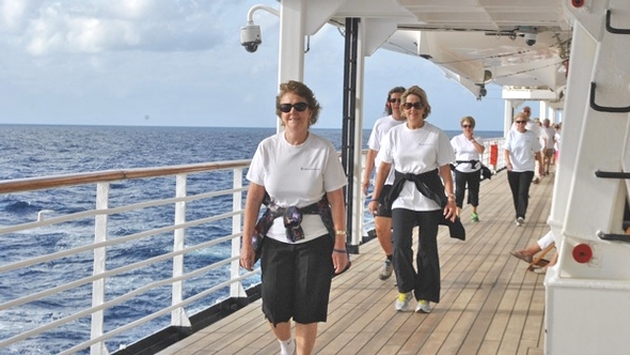 The “On Deck for a Cause” fundraiser invites guests to participate in a 5K walk around the ship’s decks. They’re asked to donate $20 to participate. Participants receive a T-shirt, wristband and invitation to a reception following the walk. Depending on the ship, the distance to reach 5K ranges from nine to 12 laps. Guests may walk as much as they want or not at all. “Giving back is part of our corporate culture at Holland America Line, and ‘On Deck for a Cause’ allows our guests and employees to join together for and make an impact for an important cause that touches us all,” said company President Orlando Ashford. Holland America Line also hosts more than 25 shipboard charity luncheons every year for nearly 5,000 guests in homeport cities. In addition to the luncheons and events, Holland America Line and its corporate foundation’s charitable-giving programs include cash sponsorships, in-kind donations, free- and reduced-fare cruise donations for non-profit fund-raising events, donations of usable shipboard items around the world, employee volunteerism and other philanthropic activities.